1941: Track taken up for use in war effort. 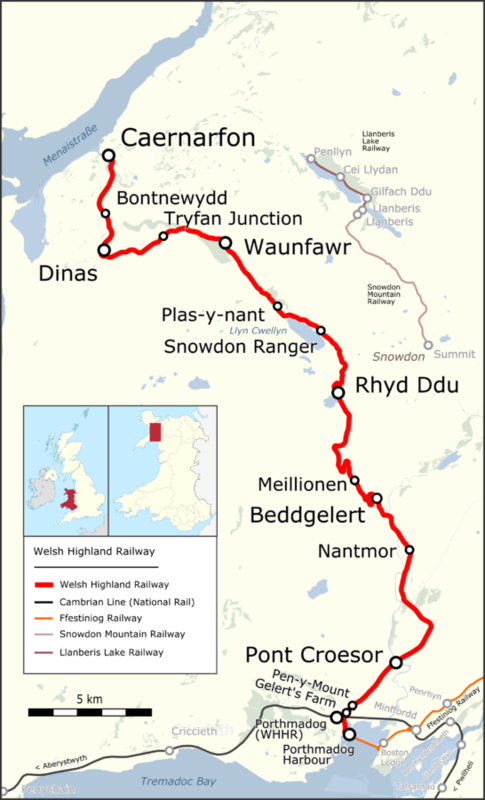 The Portmadoc, Beddgelert & South Snowdon Railway (PBSSR) never ran a service. 2009: The rebuilt Beddgelert Station was officially opened by Lord Elis-Thomas on 7 April 2009.